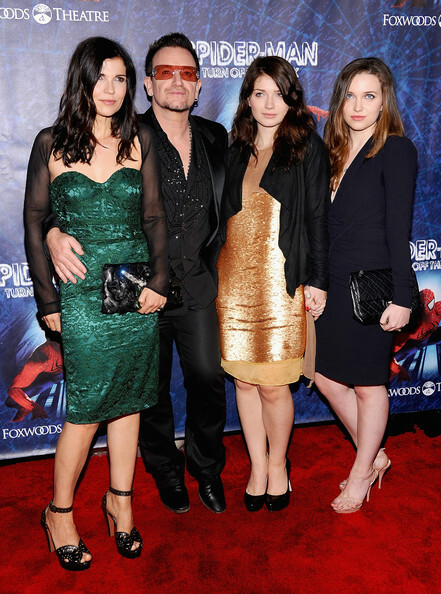 U2's front man Bono, aka Paul Hewson, has turned down an honorary degree from New York University opting instead to cheer on his daughter Eve who'll graduate next week. Rumors were circulating that Bono was invited to accept a graduate degree from NYU and make commencement speech at Yankee Stadium on next Wednesday, the New York Post's Page Six reports. Now, in his place, power lawyer and NYU Law alum David Boies will give the commencement speech. Enjoy your day out Bono and clan!